When I first found out I was pregnant, I was sure I was going to have a girl. I couldn’t wait to raise her to be a strong woman, to speak out for herself and others, and to challenge gender stereotypes. But then on October 25, 2016 at 9:43 pm, after 44 hours of labor, out came Finn Asher. I was overjoyed, but what was I going to do with a boy?! 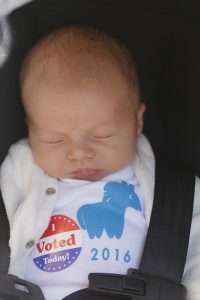 Well, for starters, he was going to go with us to vote for the first woman president. My husband and I were so excited that our son, born under our first black president, would know a woman president for the first years of his life. We were so proud that at a week old he would be a part of history. The election of Donald Trump was a gut punch for so many of us for so many reasons. As a brand new parent still overwhelmed by things like figuring out how to dress my child to go outside, I found myself devastated on a whole new level. My child is white. He is male. Both of his parents have advanced degrees. He will never have to worry about money. He is surrounded by a loving family. He is and always will be privileged. So how, in a country that elected a man like Trump, do I raise my privileged son to be the type of person to recognize and speak out against injustices of all kinds? How do I ensure that he always treats all people with respect, especially those who are different from him? How do I ensure that my son never looks to our current president as a role model? With a big nod to those who have been doing this parenting thing for a whole lot longer than I have, here are some of the things I have done to help ensure that my son joins the resistance and never ever goes over to the dark side. It is never too early to get a kid involved in the resistance. 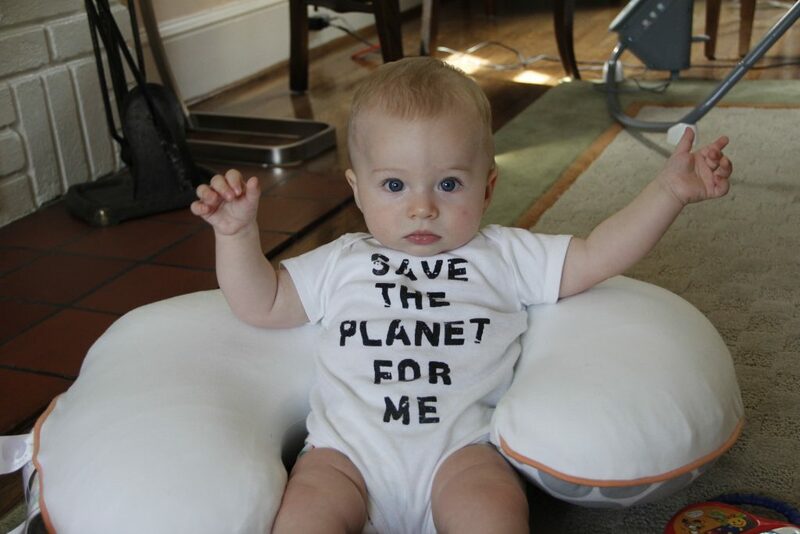 Finn went to three protests in utero. He went to the Women’s March on Philly when he was just shy of three months old. And since then, he has been to about five other demonstrations. My husband and I try to lead by example. Even if Finn isn’t talking yet, he is absorbing everything around him. He copies the sounds we make, our facial expressions, and the way we eat. We make sure not to drop f-bombs when he’s around because that would be a terrible first word. But we also make sure we listen when others speak, treat people with respect, and surround ourselves with friends from diverse backgrounds. We don’t say things like “boys don’t cry” or “you throw like a girl.” And we make sure that he sees both of us cooking and doing house chores. 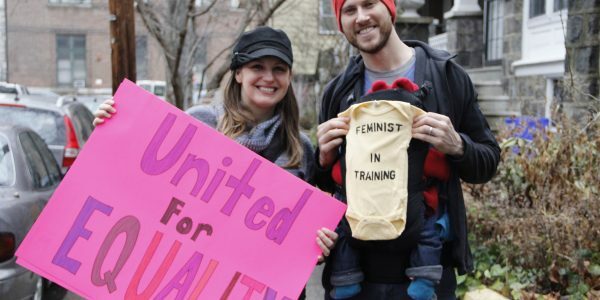 Already raising my son to be a feminist and an activist has made me a better person. And I’m just getting started. 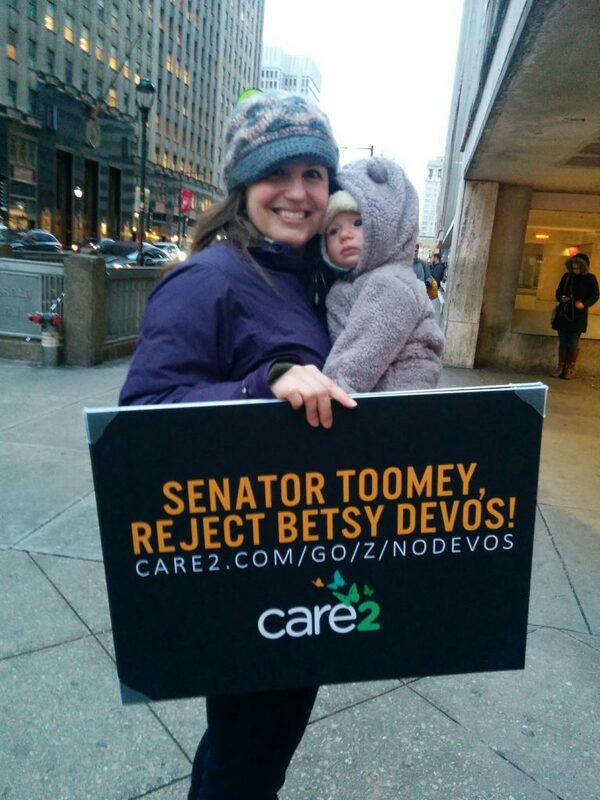 What are some of the things you are doing to raise children of the resistance?